Intake of enough water, seasonal fruits and fluids is the best, cheapest and easiest way to keep glowing skin and gorgeous looking hair during summer. But there are a host of other remedies as well to keep you cool — in looks and in spirits! Drinking enough water is very important for the skin and hair. In fact, the major constituent of blood is water. It is the fluidity of blood that helps in transporting nutrients, oxygen and even wastes in the body. Hair is actually fed by the nutrients in the blood stream and the proper circulation of blood to the skin surface is important for skin health. Water stimulates the circulation of blood. It not only oxygenates the skin, but keeps it hydrated and also regulates the skin’s natural balance. Summer is the time for cool drinks, not only to replenish fluids, but also to keep the body cool. This is also another way of meeting the body’s fluid requirement. Nimbu paani, the traditional fresh lime and water, is an ideal drink during the summer. You can add one teaspoon honey and a pinch of salt. But if you suffer from any specific diseases like diabetes, you should take the advice of your doctor regarding the use of additives like salt, sugar or honey to cold drinks and fruit juices. Avoid aerated drinks. Drink fresh fruit juices instead. Fruit juices should be freshly extracted and diluted with water. Herbal drinks, containing extracts of rose and khus can also be taken during summers, as these are natural coolants and have been used since the ancient times. Also, add a little lemon juice to herbal drinks. Instead of a hot cup of tea, drink iced tea without milk, adding one teaspoon of honey, a little lemon juice and ice. Jal Jeera, taken with ice, is also a suitable summer drink. Another great combination is lemon and mint. Crush mint leaves and allow it to stand in boiled hot water for an hour. When the water cools, add lemon juice and ice to make a refreshing drink. You may add a dash of honey and a pinch of salt and pepper. For an added lick, rock salt or chaat masala can be added, instead of salt and pepper. Mint is very cooling and aids digestion. Watermelon is also a real thirst-quencher during summers. Extract the juice, add one or two small chunks of watermelon, lemon juice and crushed ice. One teaspoon rose water can be added for flavour. As for solids, avoid heavy, spicy and fried food. Include clear soups, lassi, yogurt, fresh fruits, salads and sprouts in your daily diet. 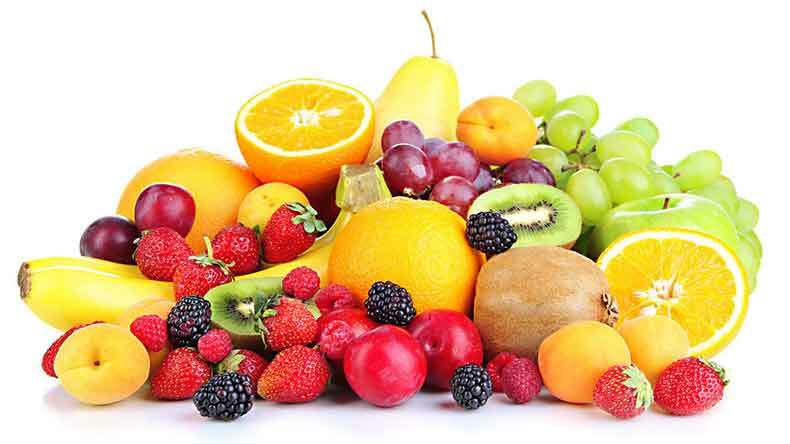 Fresh fruits and salads also contribute to the body’s requirement of water. In fact, nature itself provides us with the fruits that are suitable for every season. Melons (kharbuja), water melons (tarbooz), cucumber and (kakri) are ideal for summers. They contain more water and help in replenishing the water which the body loses through sweat. Instead of having rich desserts, take yogurt with honey or fresh fruits. These are delicious alternatives to your sweet tooth. During summer, you can end your meal with lassi. This is not only cooling, but helps in digestion as well. The human constitution is such that 70 percent of our body is made up of water. The loss of water occurs daily and must also be replenished accordingly. We do this mainly by drinking water. This is more so during summer, when the loss of fluids is greater. That’s why we feel thirsty and take in more water and other fluids during summers. In the normal course, we should drink about 6-8 glasses of water daily. This would meet the body’s water requirement and also keep the system flushed of toxins and wastes. Of course, the quantity of water intake increases during summer, to make-up the loss of fluids through perspiration. As far as the appearance is concerned, this is bound to reflect on the skin and body. The skin will look clearer and fresher, while such foods can help to lose excess weight and also maintain a slim figure. Most important of all it will make your feel better. Beauty is not just a matter of how you look, but also how you feel.